Home/News/Do You Use Turmeric As A Natural Preservative? Do You Use Turmeric As A Natural Preservative? It has become quite popular to live a natural lifestyle and use as many natural products as possible and it seems that the trend is also spreading to the scientific community. Recent years has seen research turn from finding new evidence on synthetic products and their efficiency to testing whether ‘old wives tales’ of multiple natural remedies are actually correct or not. In fact, this new movement in the scientific community has helped to prove that many natural plants has benefits that humans can actually take advantage of and without the usual side effects of many other synthetic products. Although the scientific community has so far focused mostly on medicinal purposes of the many plants and extracts they’ve tested, newer studies are starting to branch out and seek ways of helping other areas of life. One of these studies focused on turmeric and its uses as a preservative for fish, cuttlefish in particular. Turmeric has long been used as a spice in many dishes and as a root with many nutritional benefits that is now gaining popularity in the ‘smoothie’ kingdom. Turmeric, as stated earlier, is a root and is quite popular in dishes in India and Asia. It also has many medicinal values as it is high in nutrients and it has been used as an anti-inflammatory, antioxidant, to protect skin health, for heart health, to support male and female reproductive health, and for many other medical uses. The plant grows mainly in India, the country that is responsible for the world’s largest production of turmeric as well as it’s consumption and exportation. 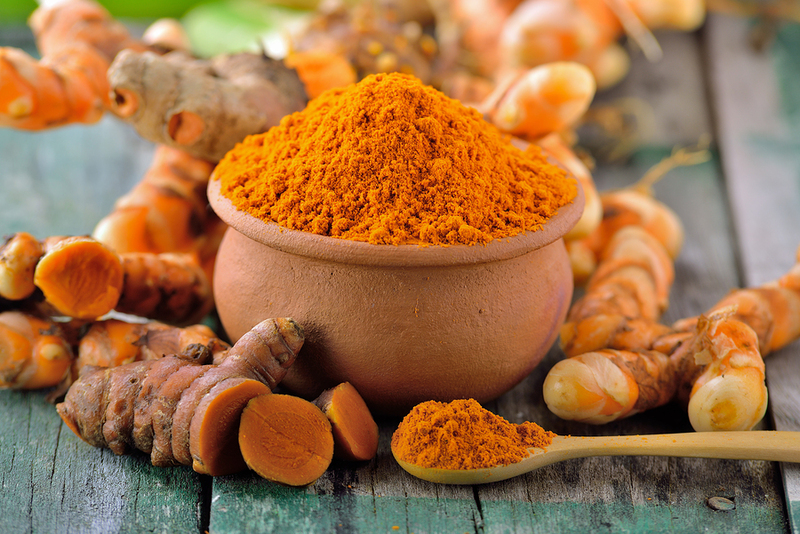 The study with turmeric was conducted by the Alagappa University in India in conjunction with Universidade de Santiago de Compostela in Spain. Their goal was to test whether turmeric could be beneficial to the lengthening of the shelf life of seafood, and shortclub cuttlefish in particular. Because of how fast fish spoils after it is caught, the study that was published in the open-acess journal CyTA – Journal of Food, most seafood only lasts about eight days on ice storage after it has been caught. The nutritionists used the Torry score, a benchmark that determines the quality of fish using sensory assessments, as well as other variables to get more accurate results. One of their other variables included testing the cuttlefish for biogenic amine, a compound that is produced by certain bacteria after they digest amino acids in seafood. These biogenic amines can cause internal upsets to humans including respiratory distress, heart palpitations, and hypertension. Turmeric, which has antibacterial properties, was hypothesized to be able to inhibit the growth of this type of bacteria. Another variable that was tested was the lipid oxidation of the fish. The samples of cuttlefish tested were divided into two groups and stored on ice immediately after capture. The test group was prepared then dipped into a 0.5 percent turmeric extract solution for 30 minutes. The other group was prepared and left as a control group. These fish were then placed in storage for 18 days in a box that was set at 39.2 degrees Fahrenheit. The results of the study found that the group of cuttlefish prepared with turmeric extract lasted 15 days before the variables determined it had ‘gone sour’ and that the control group lasted 12 days before it turned sour. The study proved to be a success and the preservative properties of turmeric were determined to be because of the presence of essential oils, curcumin, and valeric acid. The amount of biogenic amine was also lowered in the cuttlefish prepared with turmeric due to the turmeric inhibiting the growth of bacteria because turmeric is antibacterial and anti-microbial. One more note on this study – turmeric did not leave any taste or aroma or disturb the quality of the cuttlefish when used as a preservative. Turmeric has long been revered as a ‘the spice of life’ and its medicinal value has been long known as well. New research now has shown that turmeric can potentially have many other uses as a preservative and that the seafood market can have great use of it for preserving their product without any harmful chemicals or expensive techniques. Hopefully this research spurs the food industry towards more natural methods of packing, preserving, and transporting food products long distances and over longer time periods.